Recently, Asus has launched the ROG phone in India. Slowly companies in the Indian market are launching gaming smartphones. Perhaps this is being done about the growing craze of PBJ. 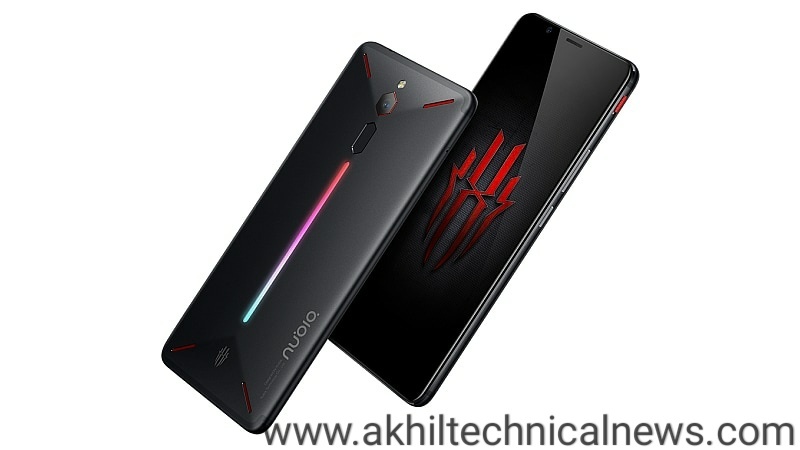 Chinese smartphone maker Nubia has launched its gaming smartphone Nubia Red Magic in India. It was already launched in China. Obviously, target users are those who do more gaming. Speaking of the design, RGB strip is given in it. The price of this smartphone is Rs 29,999 and it is for basic variants. Its sale will begin on Amazon from December 20. This smartphone has 8GB RAM and for the gaming, the company has paid a lot of attention to its performance. Such a company claims. Speaking of specifications, this smartphone has a Qualcomm Snapdragon 835 processor. Its display is 5.99 inches, which is full HD and its aspect ratio is 18: 9. It has 8GB of RAM and its internal memory is 128GB. For photography, this smartphone has a 24-megapixel rear camera. For the selfie, it has an 8-megapixel front camera. For connectivity, it has 4G VoLTE, dual-band 2XMIMO and Bluetooth 5.0 including USB Type C.
This smartphone has a battery of 3,800mAh which supports fast charging. Speaking of special features, the Dual Air Convention Cooling System has been given which does not allow the phone to warm during gaming. It has an additional graphics layers and has a back-end queue style. The company claims that it will be able to manage the phone's internal templates during gaming. This smartphone has a special game boost button that can be used to activate game boost mode. During gaming mode, calls, messages and other notifications are disabled automatically.